Whether at the beach, in the mountains or in the city, product solutions from Shade & Shutter Systems will help you get the most out of your home's living space. Nature presents a constant challenge to contemporary dwellings and our products are thoughtfully designed to enhance the way you experience and use your home. For over 20 years, property owners have come to us with specific concerns about storm protection, controlling solar glare and heat or enhancing security for glass areas as well as for more decorative and lifestyle elements such as retractable awnings or traditional window shutters. 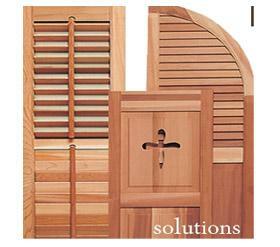 Our products can be carefully matched to your personal needs and your homes architecture. We invite you to call us to discuss your specific project needs.